When Psion embarked on “the last computer” in 1994, it was riding high. As the Protea project got underway, the company had two successful products — the Organizer II and the Series 3a handhelds — under its belt, and looked set to exploit the 16-bit architecture of the Series 3 for a good few years. However, the team was uneasy. “No one could say how long the Series 3a would sell for. 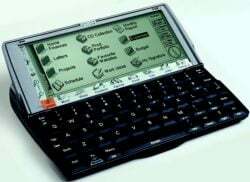 It was an uncomfortable time for us at Psion — it was possible that the Newton would take over the market, or perhaps the next HP palmtop, or something rumoured to be coming from Microsoft,” says Nick Healey, who became the user interface lead for the project, and who oversaw the applications development. Apple’s Newton MessagePad, announced in 1991 and introduced the year before, had given the world the term “personal digital assistant”, but little more. While it was hugely inventive — with new 32-bit silicon from a joint venture with Acorn and VLSI called ARM, and a clever object-based development environment — it was expensive, unreliable and was quickly ridiculed. The first MessagePad was a huge flop. Psion knew the feeling, having had a near-death experience of its own. Today, Mark Gretton, Psion’s silicon guru, describes Psion’s MC series range of laptops as “completely insane… you couldn’t get away with that now”. Psion had begun investing heavily in designing its own silicon. “David Potter had a belief that real computer companies design their own chips,” says one former Psion project manager. “It was incredibly expensive to design your own ASICs, but it could pay off.” The catastrophic MC laptop was proof. The new 16-bit architecture Gretton had created, along with the team’s experience went into creating the Series 3 in 1991, which put the company back on track. So Psion knew better than anyone that it couldn’t afford to be complacent. Twice in Psion’s history, the second iteration of a product was the winner — and Apple had the resources to come back swinging. As it turned out, however, the Apple of 1994 had other things to worry about. Yet today, the decision to move to an entirely new 32-bit architecture looks vindicated. The operating system, now called Symbian OS, ships in more than 100 different phone models, generating the company that develops and licenses the software around $40m a quarter. More than 125 million units have been bought over the years, and of all intellectual assets created by Psion during its consumer hardware era, the Symbian OS is the only one that today generates new revenue. As it had before, when it moved from 8-bit to 16-bit, Psion was making a clean break with the past. Protea — named after a South African flower — wouldn’t be backward compatible with the Series 3. CEO David Potter and his technical team felt there were too many compromises in maintaining compatibility with an old architecture. And they felt more confident than before, thanks to a far-sighted decision taken in 1986. Psion’s Organiser II had shipped with a BASIC-like database language that proved popular with users, and Psion had continued to enhance it. Easy tools don’t necessarily result in quality software: Apple’s Hypercard is a notrious example. But perhaps because of its professional and enthusiastic user base, OPL resulted in a huge range of applications of the highest quality. In an age when we’re expected to laud “user-generated content”, OPL had enabled a “user-generated software industry” to flourish. Although his hands-on coding contribution to Protea was relatively small compared to other Psion projects, the influence of Charles Davies on the Series 5 was immense. (For more background on the dynamics at the top of Psion — see the extended piece we’ll publish shortly in PDF (and Epoc Word) formats). Davies was responsible for the ethos of code reuse that outsiders might view as obsessive — but that was instrumental to the company’s success. Davies had been Potter’s doctoral student in physics at the University of London, and Psion’s first employee in 1980. Davies had written Psion’s first commercial hit, a flight simulator game, and he’d subsequently assumed the role of technical visionary, and dispersing the intelligence throughout the company. Having followed up the Sim game with an integrated business suite for the Sinclair QL the following year — in a four-man team that included Colly Myers — Davies knew what office applications had to do. And by the time of Protea, he’d had plenty of time to think about doing them with extreme efficiency. Time and again, Psion’s software proved itself capable of astonishing capabilities with only a minimal footprint. Davies had insisted the 16-bit team use object-oriented techniques — long before the languages or tools for standard 4G object-oriented development were finalised. By the time Protea was underway, aggressive object reuse was deep in the company’s development outlook. And for the Series 5, the developers set themselves even more ambitious goals. Software components were the latest buzzword, as “Web 2.0” is today. Experts predicted that the application would disappear, with users selecting from palettes of functional components. Huge investments went into frameworks such as OpenDoc (backed by IBM, Novell, and Apple) and Microsoft, with its OLE. Byzantine and immensely complicated architectures were devised to implement them. Since Psion had the opportunity to implement this on a fresh project, it applied its reuse policy from the primitive middleware components right up to the applications. As a result, the Series 5 shipped with a word processor that could also embed sketches and spreadsheets within a document, just like Microsoft with its OLE. It also featured a spell checker, an outliner, and multiple zoom levels. The word processor binary, however, took up just 20kb of ROM space: less than an empty Microsoft Word document — and considerably less than an ASCII file containing the 1,600 page programming guide to Microsoft’s OLE. Psion was justifiably proud of this achievement, and published the source code for the word processor in its Software Development Kits for Epoc. Although the Series 5 swelled to more than 100 engineers, many of whom were in their twenties or thirties, the project depended heavily on the influence of leading lights such as Davies, Myers and Gretton. ;The Series 5 really was the last hurrah of the hero engineer,” says one Psion project manager. Colly Myers wrote much of the kernel himself for the first year — without a PC backup according to legend. The small kernel team also included Graham Darnell and Jane Sales. Nick Healey oversaw the applications and UI design, and David Wood the middleware architecture. As Healey says, however, by the time the project started the key figures were so well known to each other, they “interfered” in all parts of the project. Wood ended up training the new recruits by day, rewriting their novice code by night, and sealing the ROMs. Mark Gretton had devised the first “system on a chip” for a mobile computer for the Series 3a, and set about finding a 32-bit core for its successor, code named Eiger (in our interview he describes how he chose ARM, then a relatively unproven design). Martin Riddiford’s industrial design company, Therefore, was given the job of putting it all together. Riddiford had never been a Psion employee, but brought a singular talent that engineers loved: improvising impossibly creative mechanical designs. Riddiford had worked on all Psion’s products since the Organiser II, and operated as an independent in what was then a pioneering venture. Psion part-owned the company, had first crack at the designs, but Therefore could work with other clients (except obvious rivals), and keep the IP for designs Psion rejected. “Martin’s a genius at making these crazy mechanisms work. So Martin’s job was to figure out the mechanism — and our job was to figure out how to fit everything in,” is how David Tupman, now head of engineering for a successful music player, described the relationship. Riddiford created the sliding keyboard for the Series 5, which involved new keyboard IP. Amid this atmosphere of battling technical intellects, Healey had the job of keeping the user’s experience of the final product simple. Many of the design decisions for the Series 5 are so subtle that one only appreciates them when using a handheld or smartphone of today. There was no need for the user to distinguish between RAM and disk. Dialog boxes resembled a flat plane that could be navigated by the arrow keys, rather than voodoo key combinations. Messages were conveyed by subtle and non-intrusive hints, rather than dialog boxes or persistent pop-ups (as on Windows XP), and Healey insisted on plain English throughout. At one stage, the “Thought Police” team discussed banishing the word “file” from the system entirely. In the end, that was considered a step too far, but the rejection of computer jargon can be seen in the decision to call the database fields “labels”, for example. “Fields are where cows live,” says Healey. 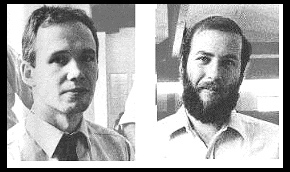 Bill Batchelor had the job of co-ordinating the three software projects — kernel, middleware and applications, with Gretton’s hardware, and Riddiford’s mechanical designs. In the end, when the Series 5 finally shipped, it was like being transported into the future, only through a very murky tunnel. Gretton’s hardware clocked in at a meagre-sounding 18Mhz — but performed like a desktop Intel PC from just two years previously — and it could still maintain 30 hours use on two AA batteries. Once the circuitry was complete, the Series 5 performed the same tasks as its Windows CE rivals but used only a quarter of the power. Applications were ready before the slow LCD screen technology of the day could draw them, and they showed a richness and depth only glimpsed on much more expensive desktop computers. The most important application, Agenda, was left open-ended. Eccentric users could choose to enter all their tasks and appointments as sketches, for example, or clip-art. More practically, users could drop a to-do list into the day view at a set time, so “Personal” entries appeared at 5pm. No organiser since has quite offered the same flexibility. For Colly Myers, the Series 5 user interface has never been bettered. But it was Riddiford’s touch typing keyboard that came to define the product. The Psion Series 5’s keyboard remains the principle reason for the design’s enduring utility today. There’s still nothing on the market like it.